The latest issue of Do It Yourself magazine just arrived at my doorstep. The cover promised 43 DIY projects I can tackle this fall. My husband, Keith, rolled his eyes at my gleeful pronouncement to try them all. He’s seen that look of hopeful determination in my eyes before. In today’s world of YouTube videos, Google searches, and home improvement channels, you can teach yourself to do almost anything. Believe me, I’ve tried. In high school, I attempted to teach myself how to play the bassoon. Squawk! It wasn’t until I took private lessons that I began to excel (or at least not sound like a dying goose). Of course, the skills I have mastered are ones where I received hands-on training from someone who knew more than me. They gave me instructions, showed me how to perform the skill, and then practiced alongside me until I developed the skill myself. One area people probably shouldn’t DIY is leadership development. Sure, I can read books, watch TED Talks, and attend conferences to help hone my leadership skills. But leadership is best learned from those who are leading. The Apostle Paul knew this and modeled it for the early church. He explained that God has gifted pastors and teachers within the church to train Christ’s followers to do ministry. This strengthens and unifies the church and multiplies its influence and impact beyond the current generation. As new leaders are developed, they will train others. In this issue, we unpack the tools churches need to create a culture of leadership development. In his column, LifeWay President and CEO Thom Rainer offers practical ways pastors can train and disciple the next generation. Facts & Trends Senior Writer Lisa Green examines how three churches intentionally develop new leaders and unleash them to do ministry. In our leadership Q&A, Eric Geiger, vice president of LifeWay’s Resources Division, explains why he believes churches should excel at leadership development. And Executive Editor Ed Stetzer lays out three leadership principles that contribute to the overall health of a church. Developing others is deeply connected to what it means to be a Christ-follower. Leadership training is a natural part of discipleship, which can’t be accomplished solo. So, guide well because that is your job. At the end of the day, developing leaders will determine the future of your church or organization. No one should outpace the church in developing and deploying leaders, says Eric Geiger, vice president of LifeWay’s Resources Division. 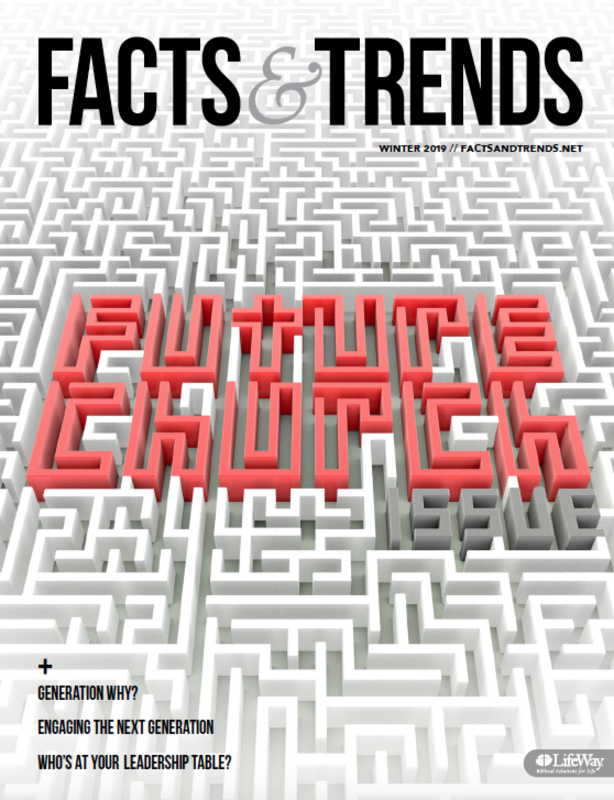 Facts & Trends recently talked to Geiger about the importance of developing leaders to expand the influence and ministry of the church. Every church should be constantly asking: Is God raising up the next generation of missionaries, pastors, children’s ministers, and theologians in our church? Are we equipping those who will later equip others? Good leaders will think deeply about a solid, biblical foundation for leadership, and contextualize it well in their own contexts. They will be ambidextrous—not trading one for the other, but seeing leadership as both biblical and contextual. Six church leadership experts share tips on how you can develop leaders from within your own congregation. Church leadership consultant Mac Lake shares how he learned the value of leadership development.